I used Coggle (a mind map creator) to organize the content/tools that I explored while attempting to answer my driving question. 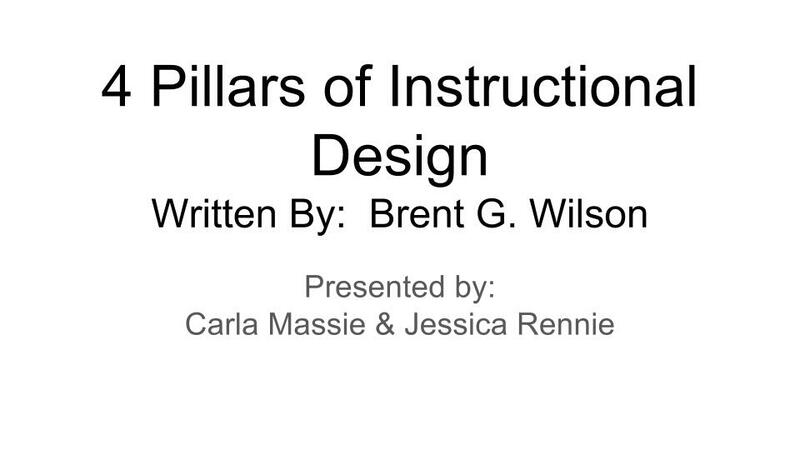 "4 Pillars of Instructional Design," is an article written by Brent G. Wilson. 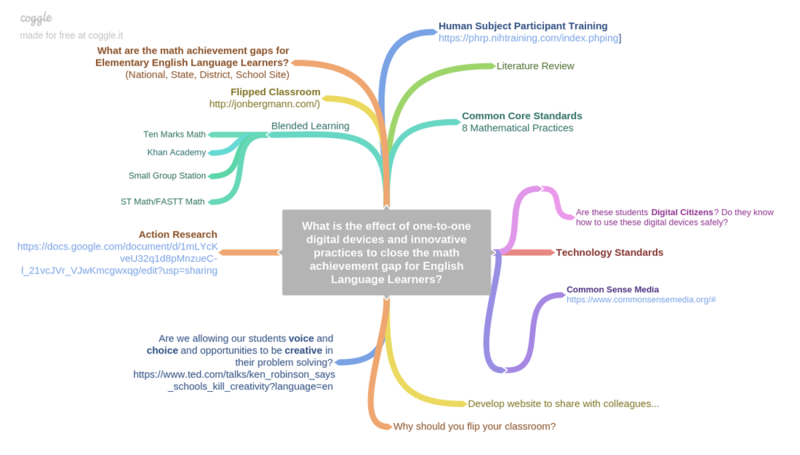 The image below will take you to a brief summary of the article created by myself and a fellow teaching peer. Click on the above image to visit the slideshow. 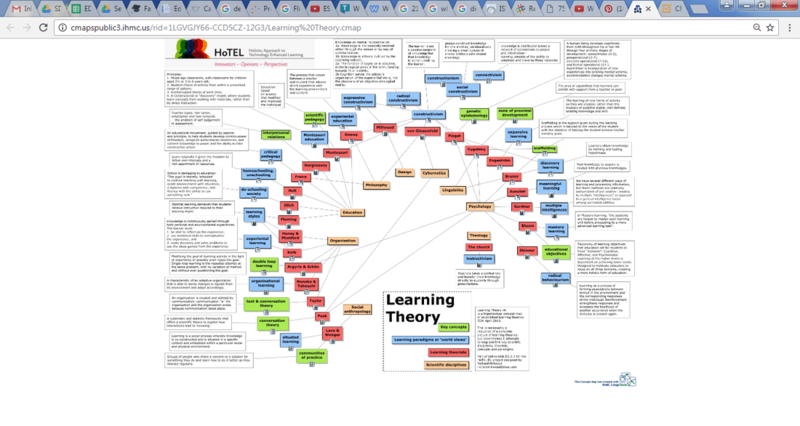 While researching, I found this collective mind map of learning theories and their developers. Which learning theory or theories reflect your classroom? For a larger view of the map, please click on the image. As 21st Century educators, we can no longer just ask students to "remember." Students need to begin building on their base or foundational skills through application, evaluation, and creation. I find the following graphic helpful on how to instruct students, and to consider which direction to guide students in. 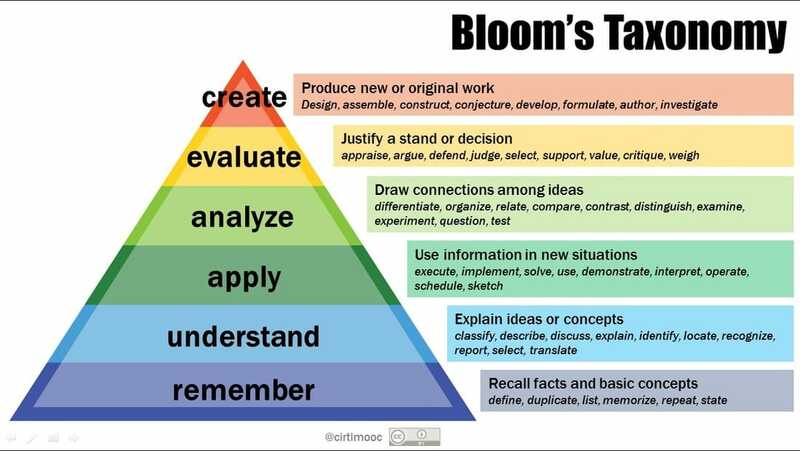 For a more detailed explanation of Bloom's Taxonomy and modification, please click on the image.